Today, for this month, I am going to go out on a limb and just make a guess about many people and their eschatological view. Here is my guess, most people do not know the name of what they believe regarding the end-times and just happened upon their end-time beliefs because of the specific church/pastor/denomination they happen to belong to or follow. I find this kind of eschatological belief the worst kind, because so many do not know the foundation or the reasoning behind their beliefs and as such, may be swayed when they ought not be. 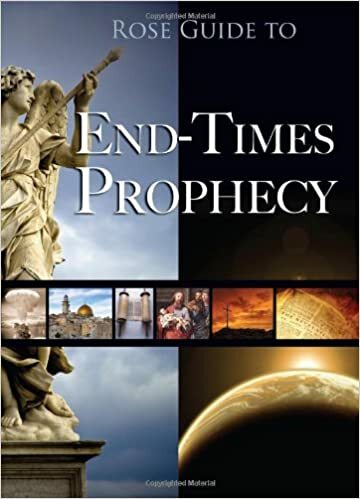 Due to this belief on my end, I am going to recommend a very succinct book on eschatology that provides enough detail of the most common eschatological viewpoints to educate ourselves. It is important to know what you believe and why. You may have fallen into a viewpoint by accident because you did not know there were other beliefs. Or, perhaps you are the rare breed that studied this topic and the Scriptures to arrive at the specific conclusion where you are seated. Either way or neither, the following book is worth your time to add to your collection of books at home because frequently a pastor or denomination hold to a view strongly that may actually impact how they read/view Scripture and you are better off in knowing this. So, please go buy the Rose Guide to End-Times Prophecy by Timothy Jones, David Gunderson, and Benjamin Galan. After you buy the book you just might come to discover your beliefs are your own and not someone elses. Amillenialist, Postmillenialist, Historical Premillenialist, or a Dispensational Premillenialist. Each of these are different and impact your views of the Bible. I myself find studying the end times to be one of the last things to worry about. I worry more about the current condition of those around me and whether they believe in Jesus as their personal savior. After that, it is more important these same people are regularly studying their Bible, involved in a church, and praying diligently. If they are doing those three things and believe, then they might take a breather to consider the possible scenarios. Many want to think about the end of times while forgetting about the here and now. If your future is secure, today is much more important. So, get on the Amazon machine through this link, http://www.amazon.com/gp/product/159636419X/ref=as_li_qf_sp_asin_il_tl?ie=UTF8&camp=1789&creative=9325&creativeASIN=159636419X&linkCode=as2&tag=catabaptchur-20&linkId=6457ENWLKARSR4Q7 and buy the book today. I am confident you will not regret it.